Carolyn’s words and music have been part of the life of CCS since the 1980s. She is a lover of language and sound. A writer of sound, she is committed to the power of the human voice singing and speaking truth to move society to just and liberating transformation. Through song and singing she helps us deepen human consciousness and understand ourselves as part of a living planet. For over three decades she has brought circles of women together to sing songs rooted in women’s experiences. A social activist, she weaves together the spiritual and the political – integrating personal, social, planetary, cosmic. She describes herself simply as a woman of faith seeking with others to touch what matters. Carolyn says “Many of us are beginning to create the alternative we’d like to see, rather than hammering at the doors of the system and asking it to change. It may look like things are quieter, but the activists I’ve worked with have all moved deeper. They’ve not given up”. 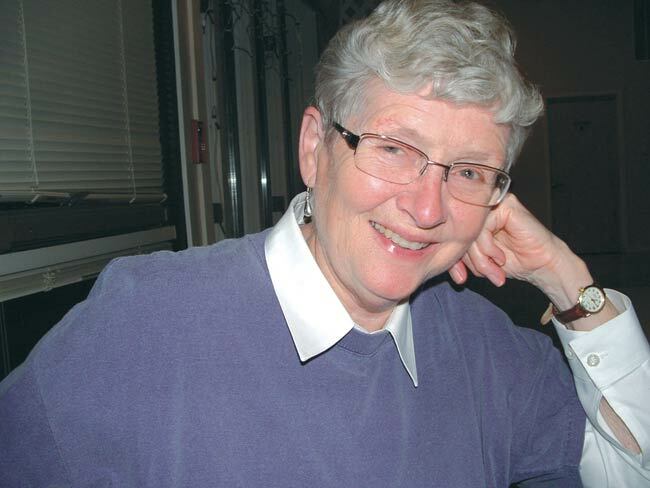 Carolyn McDade was named the first Companion of the Centre for Christian Studies in 2002. On Friday evening, we will gather in a Celebration of Song and Music as we join our voices and our hearts in words and music that have moved us through the years. We will have the opportunity to listen to, and sing, some of the new music that is moving the lives and hearts of many, and to continue that work, if we choose, in a workshop on Saturday afternoon.